Take just an hour a month to nurture your creative streak and add some magic to your comms and marketing. Be creative, fearless & proud. Your workload may be bananas. The topic may seem dry and corporate. But I can help your campaigns and content dazzle with creativity! My social media training is about boosting skills, inspiration and confidence. 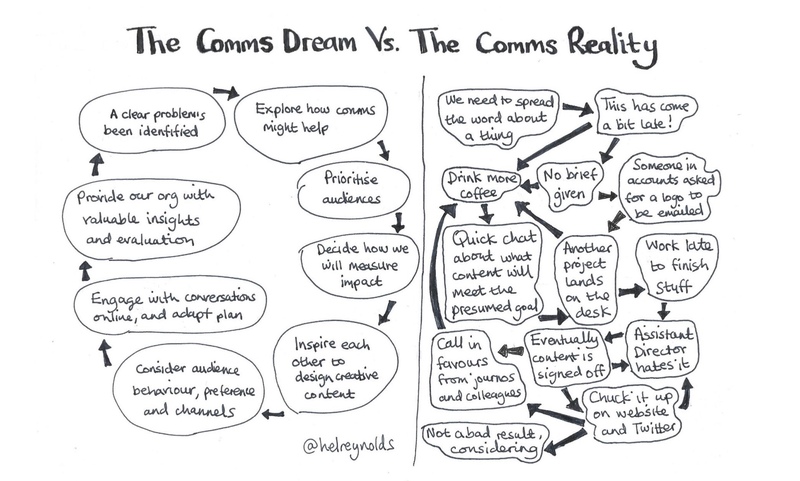 So, talented comms and marketing professionals, don’t be afraid: get ready to burst with pride over your best work yet. With my training, you’ll go from overwhelmed to confident in building thriving social media communities, using my unique comms and marketing methods. I’ve been there and I know that feeling! I’ve taught thousands of comms and marketing pros how to be less stressed, more creative, and to beam with pride in their work. You’ll get access to the monthly newsletter and updates on my training and offers.